We have a Victory Octane available to test ride so you can put the firm’s mantra of ‘Modern American Muscle’ to the test by throwing your leg over Octane (and any of Victory’s other American V-Twin motorcycles) at Alba Customs. The Victory Octane is a 1200cc ‘musclebike’ with a V-Twin engine that was developed from the race engine used in the Project 156 prototype bike at the Pikes Peak International Hill Climb (PPIHC) in 2015. It has been praised for its engine character and it’s sharp handling. With 103 horsepower, the Victory Octane achieves 0-60mph in less than 4 seconds and runs a quarter mile dragstrip in just 10 seconds. 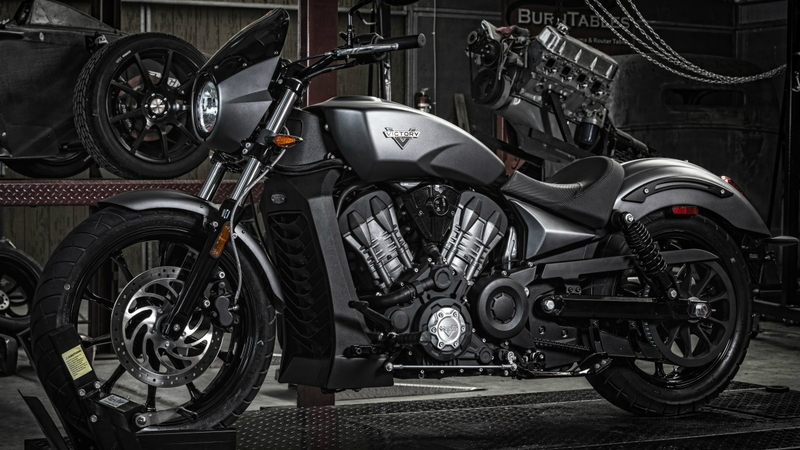 It also has 32° of lean angle, delivering agility previously unseen in an American V-twin motorcycle.